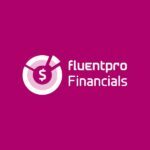 At FluentPro Software, we create software platforms for migration, governance, administration, business intelligence, and integration to support companies that use Microsoft PPM and Office 365. We empower PMOs, Project Managers, and Project Server Administrators to reach their peak of productivity. 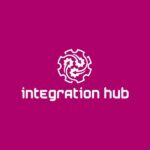 As a market-leading migration software for Microsoft PPM, FluentBooks provides a complete toolset for a quick and risk-free migration of Microsoft Project Server & Project Online configuration, projects, timesheets, and Sharepoint content. Complete toolset for managing the lifecycle of Microsoft Project Online environments, including configuration audit and change management, backup and disaster recovery. Solutions and services to make the most out of Microsoft Business Intelligence, including ready-made power BI reporting packs for Microsoft PPM and beyond, as well as Power BI consulting and development services. A comprehensive tool for planning and managing project budgets in Microsoft Project Online, which allows moving forward from Excel spreadsheets to the next-level project budget management and planning process. A powerful toolset for connecting third-party systems to Microsoft Project Online for complete portfolio visibility. Supports Microsoft Planner, Atlassian Jira, Asure DevOps (VSTS), ServiceNow, as well as custom connectors.